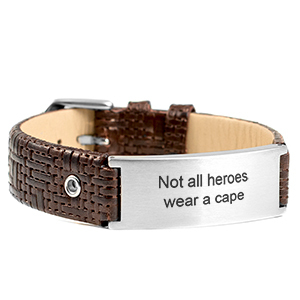 This leather bracelet has a quality look and feel. 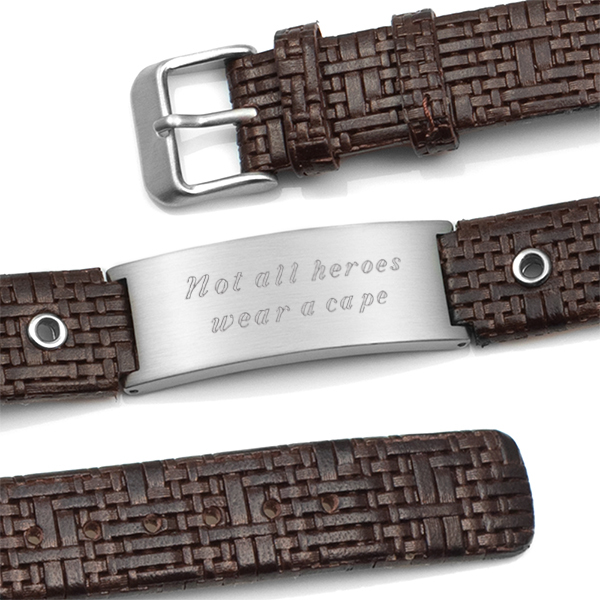 The dark brown leather has a beautiful sheen combined with a woven look that gives it great texture. 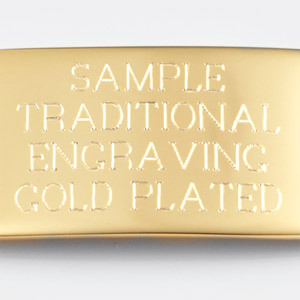 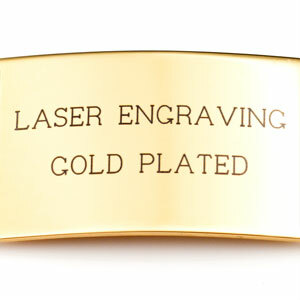 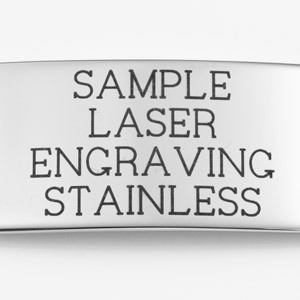 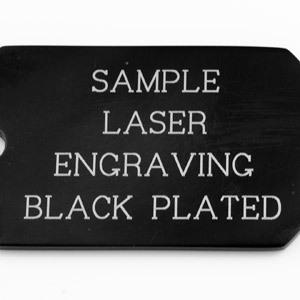 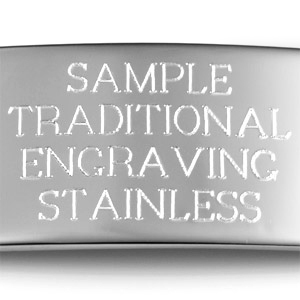 Engrave tag on front and back with a monogram, symbol, name or message.